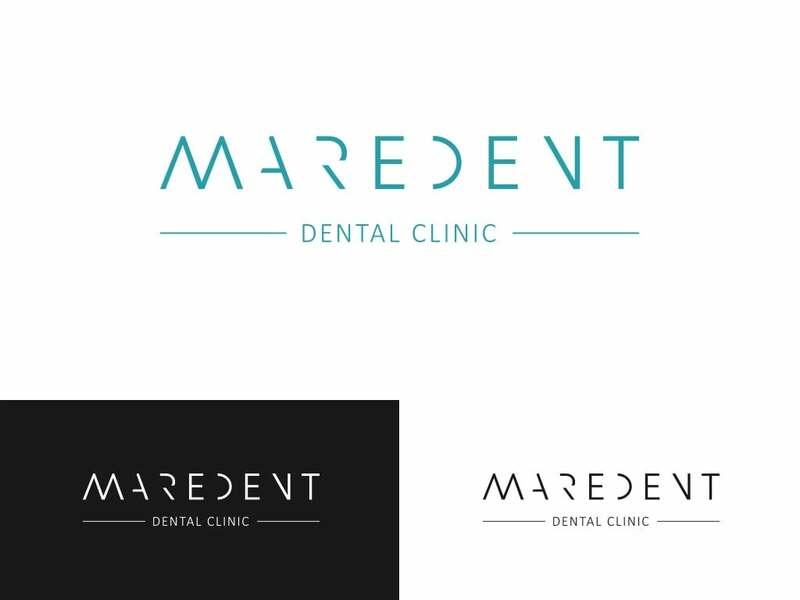 For newly established clinic in the field of dental medicine, our task was to fundamentally create a visual identity that will be equally well introduced on foreign and domestic markets. 1. MARE – double connotation – lat. 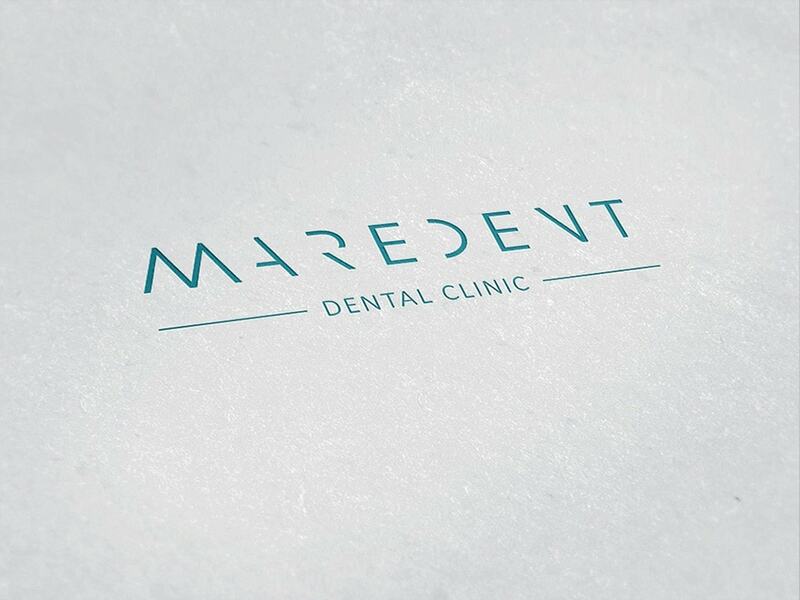 sea, ocean – close connection with our coastal zone and the first letters of the surnames of the founders of the dental clinic. For foreign patients, who are the main target group, the connotations are especially positive because the sea reminiscent of relaxation and enjoyment, according to the treatment that will be given in the clinic Maredent. 2. DENT – lat. dentalist, -dent, -dens, teeth – clearly indicates that these are services in the field of dental medicine. 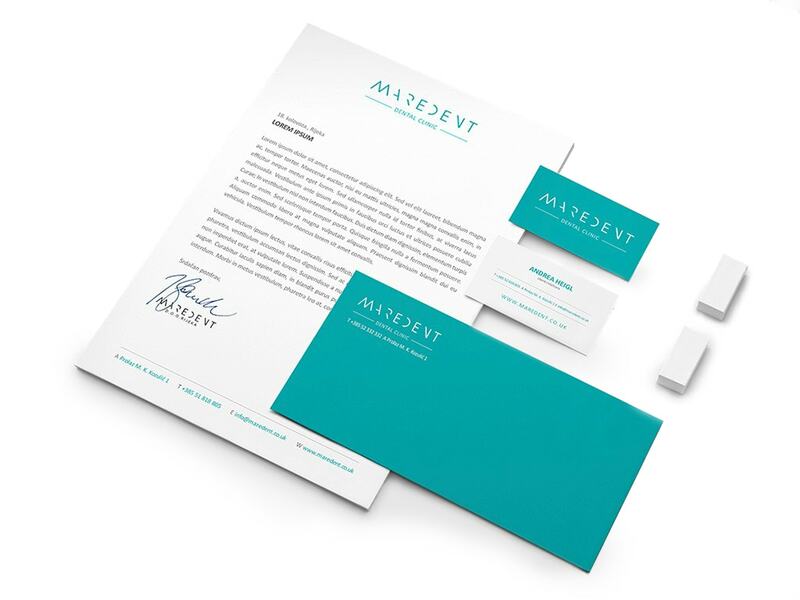 Corporate identity is of great importance for every company because it is the first thing a customer has experienced, and it is well known that the first impression is important. While creating logo, we have chosen turquoise as “main home color” because it symbolizes healing and protection. The green component of the turquoise has a great power of healing; soothes, suggests permanence, stability and security, which is essential in the development of complete trust and harmony in the relationship between doctor and patient. Logo is made from a specially modified typography and looks very modern, simple and minimalistic, and symbolizes the use of modern technology and modern techniques as a base for their successful work.